Coffee has been a longstanding obsession for our studio. We’re all wannabe barista’s here at enbiun, obsessing about our coffee machine and impressing each other with our latte arts. The last 5 years have seen a maturation in coffee concepts in metropolitan area’s. The ubiquitous nature of Starbucks have been offset by smaller and more high end coffee places. Offering consumers a sense of belonging, personality and most of all quality. The generic nature of Starbucks has bred a whole new category of coffee places rebelling. 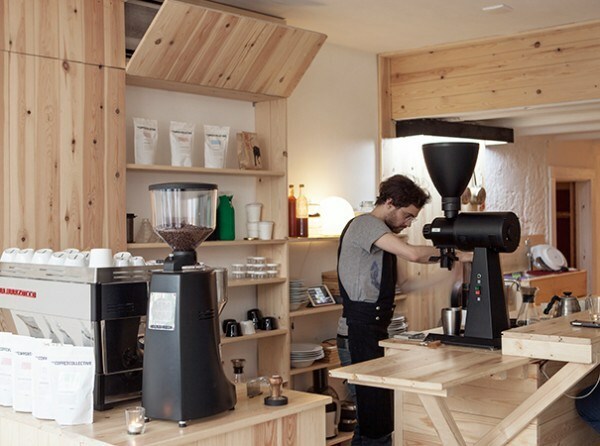 Trendy and hipster coffee places furnished with rough wooden furniture decorated with mustached barista’s. The almost scientific naming for this new catogory is called ‘third wave’, read more about that here. We’ve been observing something new lately, coffee is maturing and becoming more precise. Coffee as delicate as wine, paired with food, talked about by experts. We already saw this in Amsterdam with the opening of the wonderful Scandinavian Embassy, where coffee has been elevated to incredible heights and paired deliciously with food. We also saw the meteoric rise of Blue Bottle coffee, who was curiously acquired by Nestle. Blue Bottle has put its quality and precision on the forefront by employing a minimal identity and interior, the Apple of coffee, simple and highly detailed. It’s no surprise that Blue Bottle has found footing in the worlds fussiest and hardest market, Japan. Speaking about Japan, here we really saw what the future of coffee could bring. Expert roasteries are elevating the quality of coffee more and more by playing with extraction methods and visitor experience. To show you what’s happening, we created a small list of places to look out for. 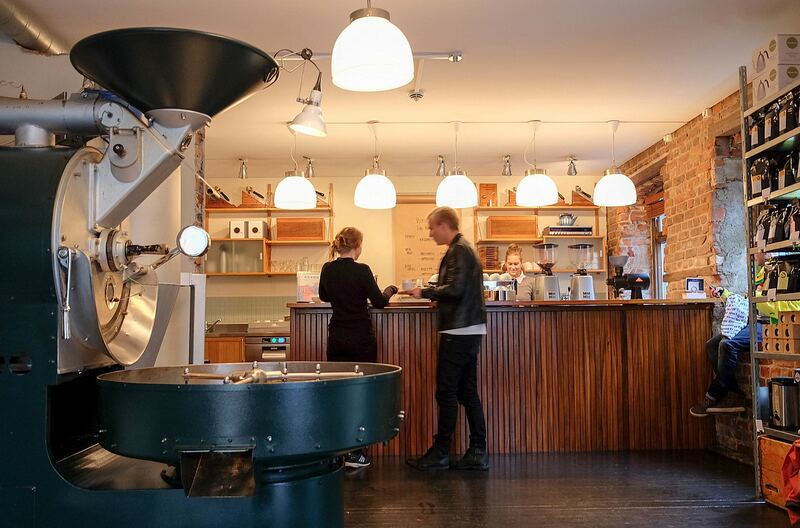 Tim Wendelboe is a coffee roastery, espresso bar, coffee resource and training centre located at Grünersgate 1, Oslo, Norway. Our goal is to be among the best coffee roasters and espresso bars in the world and to be a preferred source for quality coffee, knowledge and innovation. This super small coffee hideout in Kyoto has such beautiful roasts that we where completely blown away. Amazing Geisha coffee and an experience to never forget. They have been a fixture in the Amsterdam coffee scene for a while, and we believe they will continue to be a destination. 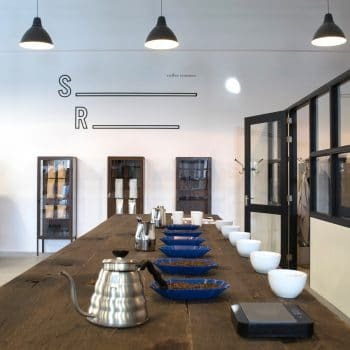 Their quality and consistency is commendable, and you can always find the best representation of Nordic roasteries here. Blue Bottle Coffee Company is a coffee roaster and retailer headquartered in Oakland, California, United States. In 2017, a majority stake in the company was acquired by Nestlé. Look out for its amazing interior, expert staff, delicate roasts and detailed graphic design. Also worth noting is their collaboration with craft, beautiful ceramics in Japan and a collaboration with Hario. This roaster has been set up by our collaborator and client Hendrik Blom. Special Roast (headed by Bo Zwarts) is here to supply high quality, personal roasts to independent shops, restaurants and café’s. We see this as a logical and unique progression of coffee becoming of higher quality, even in places that don’t primarily serve coffee. Former brands we designed for this coffee roaster are Bacchi and Zagadabi.